Fortunately there were some left over anti-inflammation patches from my last tango with knee. Taped it down, slept with it over night, and woke with greatly diminished pain. Less soreness. Walking continues to be fine. Running might be fine, but not risking THAT. Mowed the grass, instead. Lots of sweat. Some sun on my skin. And one less thing to do. 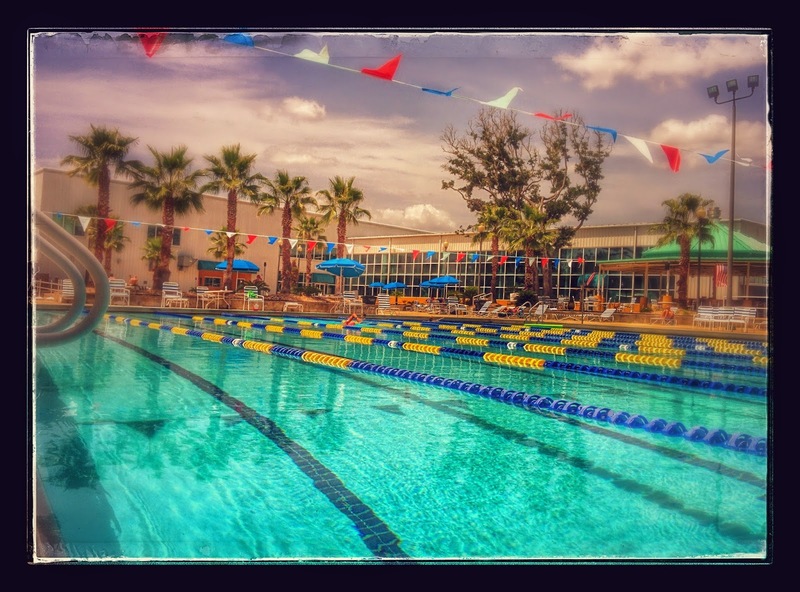 After that, off to the pool for a mile of laps. Heat wasn't too bad. But nearly forty down and backs makes the mind wander. Gets boring long before you hit the mid point. Then it is a matter of pushing through. Good point is, my swim is fine and the next eight or nine weeks will only make it better. 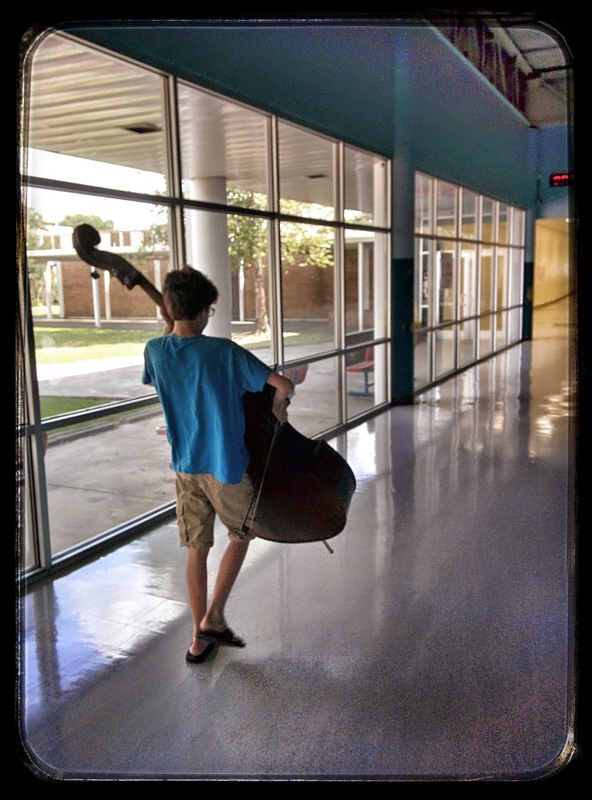 Third adventure was a trip to the Gulf Coast Youth Orchestra tryouts. Liam was asked to audition and afterwards his instructor said he did very well. Liam said the sight reading was hard, and had sixteenth notes. He didn't think he did very well there. Told him he likely did better than the vast majority of people on Earth could do. He liked that answer. By the time Liam finished, the temperature was in record territory. We stopped by Sonic for some drinks (Coke Float for him & Strawberry Limeade for me.) While we sat there, the temperature was literally climbing by the minute. 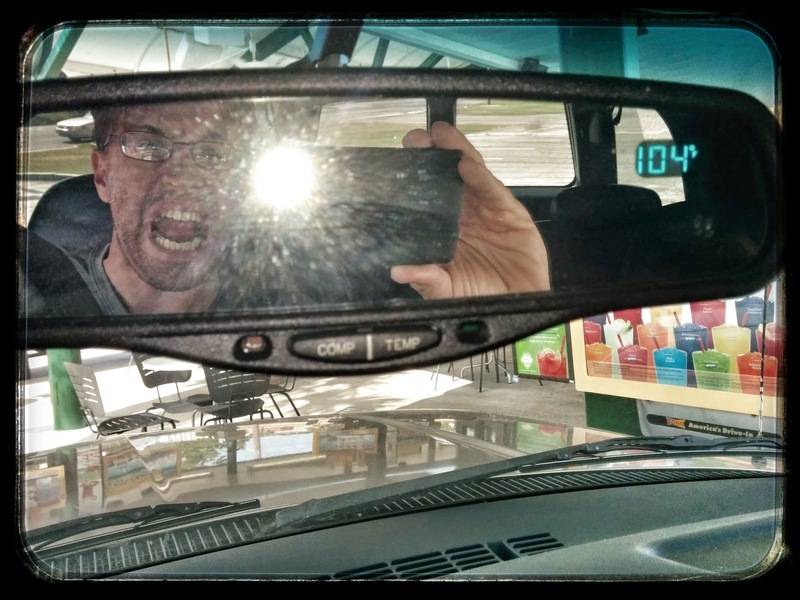 What started at 101 ended at 104. And that was in the damn shade! My night ended with not-enough-drinks at Mugshots. Buddy Rog showed and we had some laughs and some serious conversations about life and moving through it. Ended well. Always does. But my brain got knocked off kilter and things got very sideways and very uncertain pretty quickly. Going to be haunted for a while, now. We all have wounds. Some heal. Some leave scars. Some stay open. But we conceal them behind as many layers as possible. And they leave us privately in pain for years. Sometimes we can't fix them. Sometimes we don't want to fix them. Sometimes we don't know how.